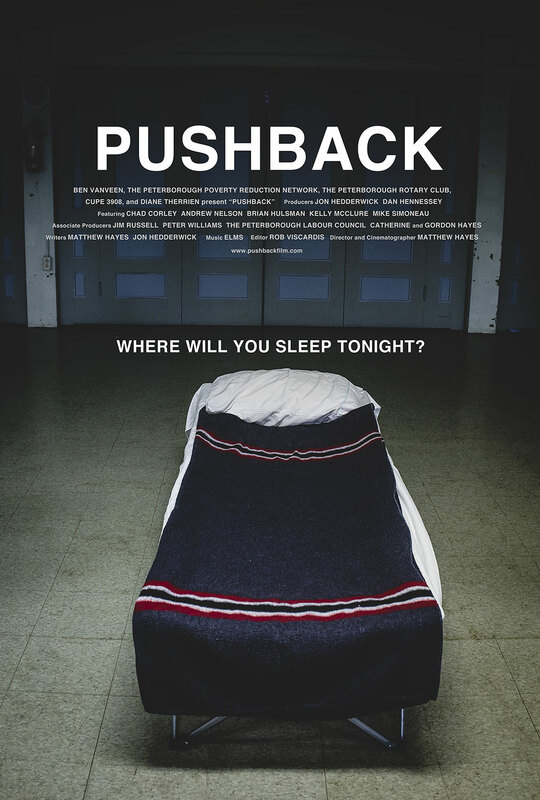 Join us on Sunday, June 10TH @ 7pm for an intimate screening of Pushback, a feature-length documentary film about poverty and homelessness in Peterborough, Ontario. Enjoy refreshments and a Q & A with director and cinematographer Matthew Hayes following the film. ADMISSION IS FREE. Seating is somewhat limited; please arrive early to ensure a seat. Pushback is a feature-length documentary film about poverty and homelessness in Peterborough, Ontario—a community which has had, since the 2008 recession, one of the highest rates of unemployment in Canada. The film focuses on five people from the Warming Room, a homeless shelter of last resort that runs every night from 8:30pm till 8am, during the cold winter months. The Warming Room has literally saved lives, but like similar initiatives, it’s been plagued from the start by a lack of funding. It serves an essential need in Peterborough, and is our window onto the ways in which people push back against the invisible world of homelessness in Canada. 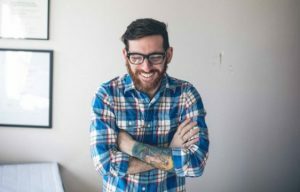 Director and cinematographer Matthew Hayes is an independent filmmaker and PhD student in Canadian Studies at Trent University. He’s made Peterborough his home with his wife and two kids, and sees this film as his way of helping to eradicate poverty in our community.